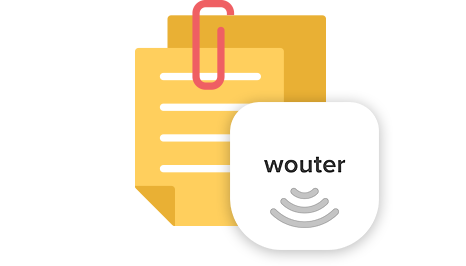 BEFORE YOU LOG INTO AND/or REGISTER AS A USER OF THE WOUTER CLOUD-BASED SERVICE (THE “SERVICE”), CAREFULLY READ THE TERMS AND CONDITIONS OF THIS AGREEMENT (“Agreement”). These Terms constitute a contractual agreement between you, the customer under this Agreement (“you” or “User”), and Wouter ("Wouter ", "us" or "we"). BY REGISTERING AND/OR LOGGING INTO THE SERVICE, YOU ACKNOWLEDGE THAT YOU HAVE READ AND UNDERSTAND THAT YOU ARE BOUND BY THESE TERMS. IF YOU DO NOT AGREE TO ALL OF THE TERMS AND CONDITIONS OF THIS AGREEMENT, DO NOT register with or LOG INTO THIS SERVICE. By purchasing or otherwise registering for the Services, you acknowledge that you will establish an account with us. You agree to be responsible for all activities, charges, changes, and obligations incurred through your account, whether or not authorized by you. Further, you agree that security of your account information, including your user name and password, is your responsibility, and that Wouter may assume without inquiry that any person in possession of your user name and password has authority to access or modify your account or the Services. an individual or an individual employed by or associated with an entity identified on the U.S. Department of Commerce's Denied Persons or Entity List, the U.S. Department of Treasury's Specially Designated Nationals or Blocked Persons Lists, or the Department of State's Debarred Parties List or otherwise ineligible to receive items subject to U.S. export control laws and regulations, or other economic sanction rules of any sovereign nation. Wouter reserves the right to decline to ship the hardware to any location outside the U.S. and to decline Services to anyone outside the U.S.
As consideration for the Services, you agree to pay Wouter the applicable fees set forth on your order at the time of your selection of the Services and all taxes. We charge for fee-based Services in advance and on a monthly or other basis depending upon the subscription plan you select during the purchase of the Service. Wouter provides a money back guarantee for the first 30 day period from shipment of the Wouter hardware unit (the “Hardware”); you must contact Wouter Customer Service and return the Unit within 30 days from purchase. After the initial thirty-day period, all fees are non-refundable. When you register for the Service, you must designate a payment method and provide Wouter with accurate billing and payment information and promptly update such billing and payment information if it changes. We will bill you for the Services through the payment method designated by you at the time you subscribe. You authorize and direct us to charge your designated payment method for these charges. Further, you authorize and direct us to retain information about the payment method(s) associated with your account. If we do not receive payment from your designated payment method you agree to pay all amounts due under this Agreement upon demand by us. After the initial subscription period Wouter will continue to charge your designated payment method, and the Services will continue on a monthly basis at the same rate, unless and until you contact Wouter Customer Service and request termination of the Services. You understand that if you terminate your Service, your Hardware will not get the cybersecurity and parental control signatures, the hardware warranty will expire, and the Software will stop managing the Hardware devices. We may change our fees and billing methods for new subscriptions to the Services at any time. You must notify Wouter about any billing problems or discrepancies within 90 days after they first appear on your billing method statement. If you do not bring them to our attention within 90 days, you agree that you waive your right to dispute such problems or discrepancies. The Software is made available for User’s personal use only in connection with the Service with the Wouter Hardware. User may not rent, lease, sub-license, give, copy, lend, nor convey the Software to any other person or entity. User may not modify, translate, reverse engineer, decompile, disassemble or create derivative works based on the Software. User acknowledges and agrees that the Software (including any updates, enhancements or modifications thereto) and the Documentation, and all intellectual property rights therein are the sole and exclusive property of Wouter, protected by United States copyright laws, other intellectual property laws and international treaty provisions. User agrees to indemnify and hold Wouter harmless from all losses incurred by Wouter (including, without limitation, court costs and reasonable attorney’s fees) arising out of, based upon or as a result of any misappropriation of Wouter's trade secrets or infringement of Wouter's intellectual property rights, or User’s failure to abide by this Agreement, and further agrees that any such misappropriation, infringement or breach shall be grounds for Wouter to terminate the license granted under this Agreement and your access to the Services. The Hardware is warranted to function in accordance with the applicable specifications during the term of your active Service. If you are experiencing problems with the Hardware, please contact Customer Services and Wouter will advance ship replacement Hardware. You must return the hardware within thirty (30) days of receipt of the replacement Hardware, or we may charge your payment method for the unreturned Hardware. This provision states your sole and exclusive remedy under the Hardware warranty. The warranty shall be inapplicable to damage to the Hardware caused by abuse or misuse. EXCEPT AS PROVIDED IN SECTION 7A ABOVE, THE HARDWARE, SERVICE AND SOFTWARE LICENSED HEREUNDER ARE PROVIDED “AS IS.” EXCEPT AS PROVIDED IN SECTION 7A ABOVE, WOUTER DISCLAIMS ALL WARRANTIES WITH RESPECT TO THE HARDWARE, SOFTWARE AND THE SERVICES EXPRESS OR IMPLIED, INCLUDING BUT NOT LIMITED TO, THE IMPLIED WARRANTIES OF MERCHANTABILITY AND FITNESS FOR A PARTICULAR PURPOSE, ACCURACY, AND NON-INFRINGEMENT. User is solely responsible for determining the suitability of the Service for User’s purposes, and User assumes all risks that the Service is not suitable for the User’s purpose. In no event shall Wouter be held liable for any damages incurred by User or by any third party, including but not limited to, loss of profits , business interruption, lost savings, loss of data, or any other direct, indirect or consequential damages arising out of use or the inability to use the Hardware, Service, Software or the Documentation, even when advised of the possibility of such damages. SOME STATES DO NOT ALLOW WOUTER TO LIMIT ITS LIABILITY FOR CONSEQUENTIAL OR INCIDENTAL DAMAGES OR EXCLUDE CERTAIN WARRANTIES. IN THOSE STATES, WOUTER’ LIABILITY AND WARRANTIES ARE LIMITED TO THE EXTENT PERMITTED BY LAW. YOUR ONLY REMEDY FOR ANY DEFECTIVE SOFTWARE IS REPLACEMENT OF THE SOFTWARE. IN ANY OTHER DISPUTE WITH US WITH RESPECT TO THE SERVICES, YOUR ONLY REMEDY IS TO STOP USING YOUR ACCOUNT AND CANCEL THE SERVICES AT THE END OF THE APPLICABLE TERM. IN NO EVENT WILL OUR LIABILITY TO YOU EXCEED THE TOTAL AMOUNT OF SERVICE FEES PAID DURING A ONE-MONTH PERIOD. After 30 days from the date of any unpaid charges, your account will be deemed delinquent. We reserve the right to assess an additional 1.5 percent late charge (or the highest amount allowed by law, whichever is lower) per month if your payment is more than 30 days past due and to use any lawful means to collect any unpaid charges, in addition to our other remedies. You are liable for any fees, including attorney and collection fees, incurred by us in our efforts to collect any unpaid charges due from you. Wouter may terminate this Agreement and the license granted to User upon failure of User to comply with any of the terms and conditions of this Agreement. Wouter will provide notice via email or delivery of a letter of its intent to terminate the Agreement and license. If a breach is curable, Wouter may provide User with twenty (20) days prior to termination date to cure the failure to comply with the terms and conditions of this Agreement. Additionally, Wouter reserves the right to suspend User’s access to the Service in the event Wouter believes User is exploiting the Service or the Software in any manner inconsistent with the terms and conditions of this Agreement. Upon termination of this Agreement, all unpaid charges owed to Wouter by User shall become immediately due and payable. Upon termination of this Agreement, User will destroy or return all originals and copies of the Software and certify to Wouter that User has complied with these terms. any breach of this Agreement by User. User agrees to pay all value added, sales and other taxes (other than taxes based on Wouter's income) related to the purchase of the Hardware and the license granted hereunder, upon request by Wouter. SUBMITTING YOURSELF TO THE PERSONAL JURISDICTION OF COURTS LOCATED IN THE COMMONWEALTH OF VIRGINIA FOR THE PURPOSE OF RESOLVING ANY SUCH DISPUTES OR CLAIMS. Wouter shall not be liable to User for any delay or failure of performance of this Agreement, or for the unavailability of the Service, and no delay or failure of performance or unavailability shall constitute a default or give rise to any liability for damages or otherwise if such delay or failure is caused by a “force majeure event.” As used in this Agreement, “force majeure” includes, but it not limited to, acts of God, civil disturbance third party labor disruptions, acts of war, terrorism, riots, civil disorders, rebellions or revolutions; quarantines, embargoes and other similar governmental action and any other causes which are beyond the control of Wouter. USER WAIVES ALL RIGHT TO TRIAL BY JURY IN ANY ACTION, SUIT OR PROCEEDING BROUGHT UNDER THIS AGREEMENT OR ANY DOCUMENTS RELATED HERETO. User agrees that the terms of this Agreement are severable. If any term or provision is declared invalid or unenforceable, in whole or in part, that term or provision will not affect the remainder of this Agreement; this Agreement will be deemed amended to the extent necessary to make this Agreement enforceable, valid and, to the maximum extent possible consistent with applicable law, consistent with the original intentions of the parties; and the remaining terms and provisions will remain in full force and effect. User agrees that it is prohibited by law from exporting the Hardware, Software or the Documentation to certain countries, and will to comply with all applicable export regulations if exporting to another country, including any applicable prohibition on exports to certain countries. User agrees to comply with all applicable laws in connection with use of the Hardware, Software and the Documentation. User’s rights under this Agreement are not assignable or transferable. Any attempt to transfer, assign or encumber the rights under this Agreement, including, without limitation, by attachment, levy, garnishment or otherwise, renders this Agreement terminable at Wouter 's option. Wouter reserves the right to assign this Agreement. User agrees that Wouter may transfer this Agreement and all information relating to it to a purchaser of the business, whether by merger, sale of all or substantially all Wouter's assets or the assets of a Wouter division, or otherwise. USER AGREES THAT REGARDLESS OF ANY STATUTE OR LAW TO THE CONTRARY, ANY CLAIM OR CAUSE OF ACTION USER MAY HAVE ARISING OUT OF OR RELATED TO THIS AGREEMENT OR OF THE SERVICES MUST BE FILED WITHIN ONE (1) YEAR AFTER SUCH CLAIM OR CAUSE OF ACTION AROSE OR SUCH CLAIM WILL BE FOREVER BARRED. Provisions of this Agreement which by their nature are intended to survive termination of this Agreement will survive any termination of this Agreement, including Sections 5B, 6 through 8, and 10 through 21 of this Agreement. Except as expressly provided otherwise herein, all notices to Wouter must be in writing, delivered by email sent to the administrative contact address provided on the Wouter website. All notices to User will be delivered to your mailing address or e-mail address as provided in User’s account information. You authorize us to contact you as our customer via telephone, e-mail or postal mail regarding information that we deem is of potential interest to you, unless you opt-out in accordance with the procedures set out in our website. Notices and announcements may include commercial e-mails, telephone solicitations and other notices describing changes, upgrades, new products and services or other information.